Microsoft recently revealed that the final version of Windows 10 will be released to the public on July 29. We know that Windows 10 will be offered as a free upgrade to Windows 7 and Windows 8 users, so here are the details on how you can get in on this offer. 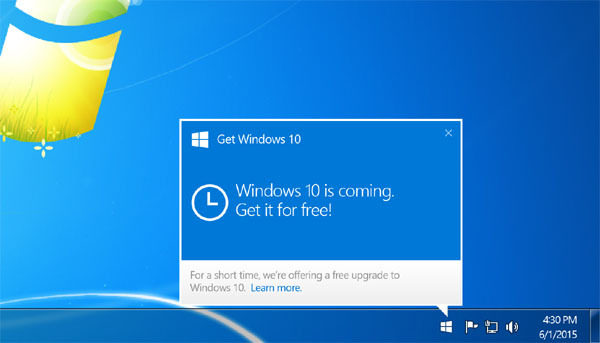 Currently Microsoft has started pushing out a "Get Windows 10" notification to users running a genuine copy of Windows 7 and Windows 8 (or Windows 8.1), allowing them to reserve a free Windows 10 upgrade when it is released. The dialog box highlights the features of Windows 10 OS, including the redesigned Start Menu, Cortana integration, Edge browser, multitasking capabilities, enhanced security features, and the new unified Windows Store. You can also check if your PC hardware is ready for Windows 10 upgrade right through the dialog box. To reserve your free Windows 10 upgrade, all you have to do is enter your email address. After then (The time between reservation and when your upgrade is ready) it will download files to your PC you need for the upgrade. 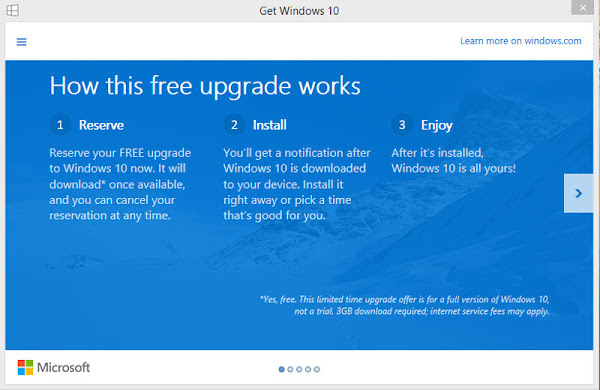 Then, when your upgrade is ready after July 29, 2015, it will notify you to install Windows 10 or lets you schedule the installation for a time that’s convenient for you. This Windows upgrade notification is powered by Windows Update KB3035583, and it will show up from time to time on your desktop to convince you to upgrade to Windows 10. Users who have not receive the Windows 10 Free Upgrade notification can check their reservation here. Besides revealing the release date of Windows 10, Microsoft also revealed the hardware requirements that will be needed for a computer to run the company’s latest operating system. This list includes basic system requirements plus additional hardware that is required for certain features. Display: 1024 x 600 pixels resolution. Two Factor Authentication: This security features will requires the use of a PIN, Biometric (fingerprint reader or illuminated infrared camera), or a phone with WiFi or Bluetooth capabilities. Microsoft previously announced a comprehensive list of Windows 10 editions, which you can read about in detail here. 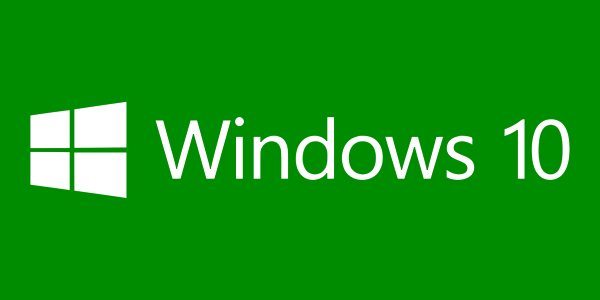 Windows 10 comes with several new features and improvements over the earlier versions of Windows. However, some of the older features and applications will be deprecated versions when you upgrade. Here are the list of applications and services that will no longer be available once you upgrade to Windows 10. DVD Playback: Watching DVDs on Windows 10 will requires separate playback software. Desktop Gadgets. Windows 7 desktop gadgets will be removed when you upgrade. Preinstalled Games: The games that come preinstalled on Windows 7 (like Solitaire, Minesweeper, and Hearts) will be removed when you upgrade to Windows 10 upgrade. New versions of Solitaire and Minesweeper (called the Microsoft Solitaire Collection and Microsoft Minesweeper, respectively) are available in Windows 10 instead. Floppy Drive Support: If you have a USB floppy drive, you will need to download the latest driver from Windows Update or from the hardware maker’s web site to use it with Windows 10. Windows Live Essentials: No, Essentials won’t be removed. But the OneDrive application that came with Essentials will be removed and will be replaced with the “in-box version of OneDrive. Windows Updates: This is the most interesting one. In previous Windows versions, you could control how updates were installed. But those with Windows 10 Home will have updates from Windows Update made available automatically. Only Windows 10 Pro and Windows 10 Enterprise users will be able to defer updates.